© 2010 by The Atlanta Journal-Constitution. (Click on the image above to view the full photo gallery at ajc.com.) 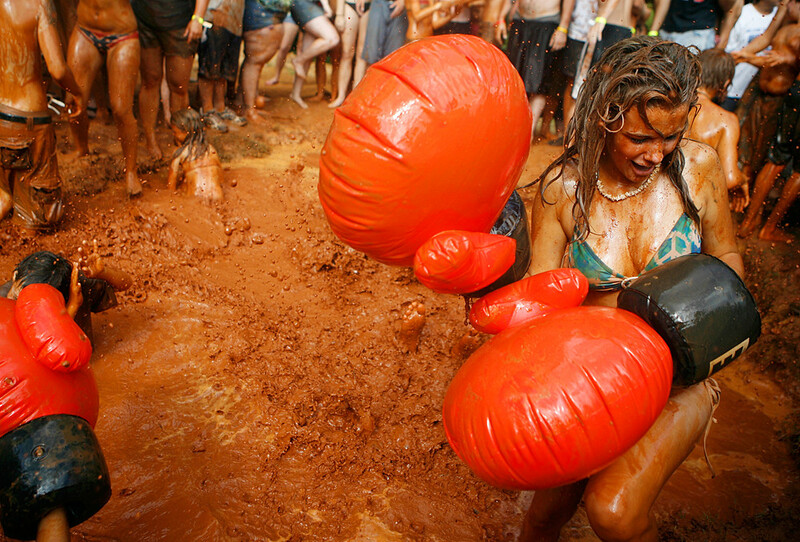 A girl batters around inflatable boxing gloves in the mud pit in the Summer Redneck Games in East Dublin on Saturday, July 10, 2010. Saved for last, the mud pit is the most popular and anticipated event in the Redneck Games. …which is a given when you photograph the Summer Redneck Games. It’s a one-day event in East Dublin, Ga., that began in 1996 after Atlanta hosted the summer Olympics. The self-proclaimed rednecks put their own spin on competitive sports and just have a good time. © 2010 by The Atlanta Journal-Constitution. (Click on the image above to view the full photo gallery on ajc.com.) 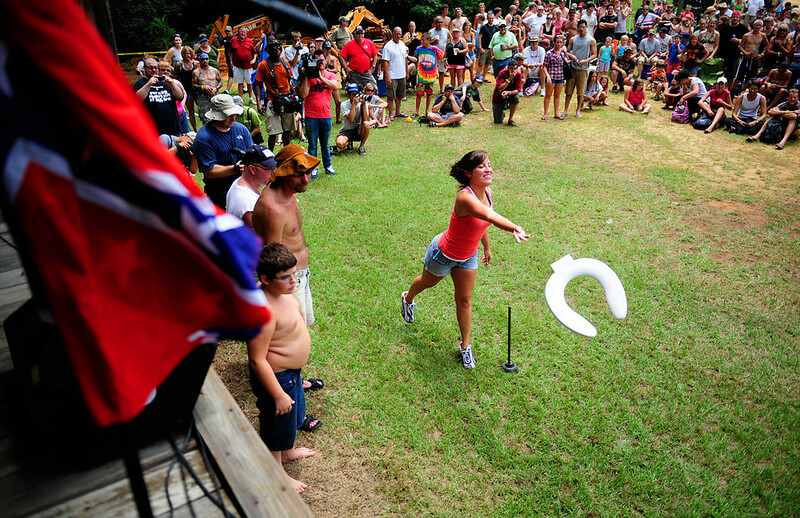 Becca Bostwick of Thomaston throws a toilet seat as part of the Redneck Horsehoe event during the Summer Redneck Games in East Dublin on Saturday, July 10, 2010. Each year, the event features competitive events including watermelon seed-spitting and toilet seat-throwing. The day was hot and sunny, and I sustained severe tan lines, muddied clothes and camera, physical threats and a few come-ons. By far one of the more memorable and exciting assignments I’ve done so far for this internship! Be sure to check out the full photo gallery! I can’t make that up, man. When he started singing, I listened for any changes in the lyrics he might’ve made. But nope — it was John Lennon’s “Imagine,” verbatim. YEAAAAAHHHHH! Or is that YeeeeHaaawwww? For these two photos, I used a 24-70/2.8. The only other lens I used that day was a 70-200/2.8, for some of the shots in the rest of the gallery. Good luck!